A Guatemalan woman was sentenced today to 36 months in federal prison for conspiracy and human smuggling related to a scheme to smuggle undocumented migrants from India into the United States. Assistant Attorney General Leslie R. Caldwell of the Justice Department’s Criminal Division, U.S. Attorney Kenneth Magidson of the Southern District of Texas and Special Agent in Charge Shane Folden of U.S. Immigration and Customs Enforcement’s Homeland Security Investigations (HSI) in San Antonio made the announcement. Rosa Astrid Umanzor-Lopez, 36, was extradited to the United States from Guatemala and later pleaded guilty to one count each of conspiracy to smuggle undocumented migrants into the United States for profit and human smuggling in the Southern District of Texas. Umanzor-Lopez was sentenced today by U.S. District Judge Ewing Werlein Jr. of the Southern District of Texas. She is expected to face deportation proceedings following her release from prison. At the plea hearing and in related court documents, Umanzor-Lopez admitted that between January 2011 and her arrest in Guatemala on Feb. 4, 2014, she and other conspirators recruited individuals in India who were willing to pay large sums of money to be smuggled into the United States. For their smuggling operations, Umanzor-Lopez and her co-conspirators used a network of facilitators to transport groups of undocumented migrants from India through South America and Central America and then into the United States by air travel, automobiles, water craft and foot, she admitted. Umanzor-Lopez also admitted that many of these smuggling events involved illegal entry into the United States via the U.S.-Mexico border near McAllen and Laredo, Texas. Three other members of the conspiracy have also been convicted and sentenced, and a fourth remains a fugitive. HSI agents in McAllen and Houston investigated the case with the assistance of U.S. Customs and Border Protection’s Alien Smuggling Interdiction Unit. Trial Attorney Ann Marie E. Ursini of the Criminal Division’s Human Rights and Special Prosecutions Section and Assistant U.S. Attorneys Leo J. Leo III and Casey MacDonald of the Southern District of Texas prosecuted the case. 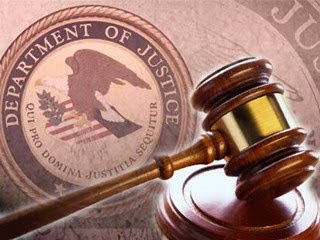 The Criminal Division’s Office of International Affairs provided significant support with the defendant’s extradition. The investigation was conducted under the Extraterritorial Criminal Travel Strike Force (ECT) program, a joint partnership between the Justice Department’s Criminal Division and HSI. The ECT program focuses on human smuggling networks that may present particular national security or public safety risks, or present grave humanitarian concerns. ECT has dedicated investigative, intelligence and prosecutorial resources. ECT coordinates and receives assistance from other U.S. government agencies and foreign law enforcement authorities.